Galaxy Note 8 finally started getting the long-awaited Android 8.0 Oreo update. The Android 8.0 Oreo for the Galaxy Note 8 is packed with all the goodies that Google showed off when it released the Android Oreo. It took more than long for the South Korean phone maker to make Android Oreo for its flagship devices. 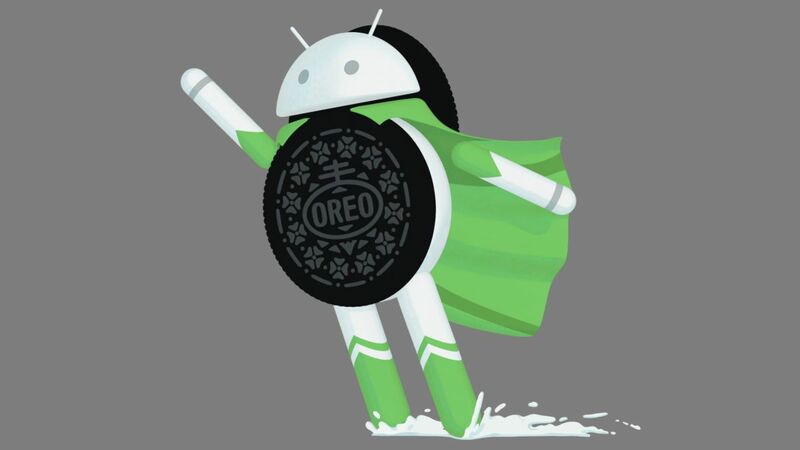 Samsung is releasing Android 8.0 Oreo for the Note 8 when Google has already rolled out the first developer preview of the Android 9.0, the Android P. It’s quite disappointing when you spend a huge amount of money on a phone and then the company doesn’t release the latest firmware on time. OnePlus launched the OnePlus 5T in November 2017 and it updated the phone to Android Oreo by the time it was January 2018. Even Nokia updated its phones to Android Oreo before Samsung. After ridiculing the loyal Galaxy Note 8 owners, the update finally started rolling out about 2 days ago. If you carry a Galaxy Note 8, you can check for OTA update or update your phone manually using Odin. A new firmware is always supposed to improve the performance, battery life and the overall stability of a phone. This is because the new firmware fixes all the existing bugs, it takes into account all the problems that the users face on the previous version and provide them with the better experience. This, however, is not a very common case. Most of the times, users start facing more issues after updating their phone to a newer firmware. Same is the case with the Galaxy Note 8 after the Android 8.0 Oreo update. A number of users have reported a lot of problems that they have faced prior to updating the phone to Android Oreo, and also after updating the phone to Android Oreo. 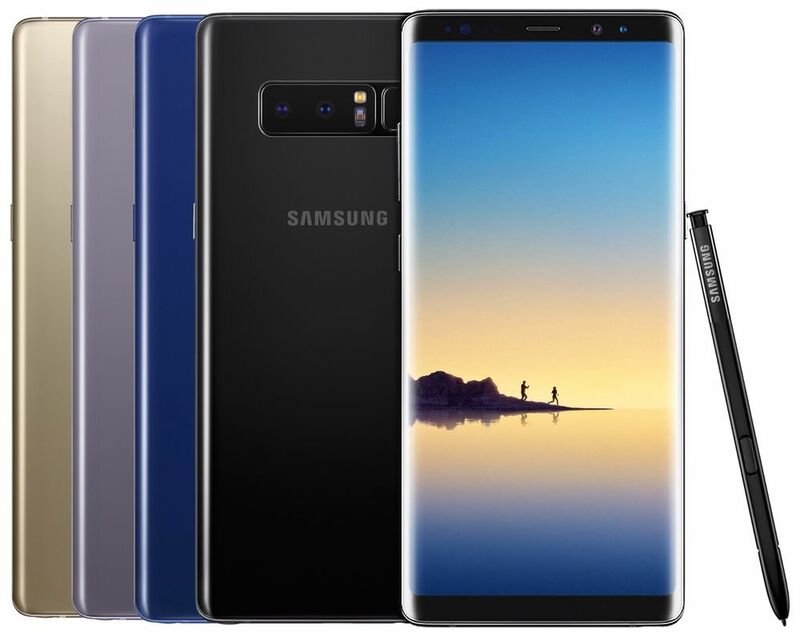 In this guide, we will take a look at the tutorials to fix Galaxy Note 8 Problems before Android Oreo Update and then we will also learn to fix Galaxy Note 8 problems after Android Oreo update. This is a very common problem happening on almost all the Samsung Galaxy phones. The solution is easy. Here are the two possible solutions to fix Galaxy Note 8 Update Failed Error. Now press and hold Volume Up + Bixby + Power button to turn it on. Your phone will now boot into the Recovery mode. Using Volume Rocker, Navigate to Wipe cache partition option and then press Power key to wipe it. Once done, reboot your phone and try updating your phone once again through OTA update. Download and install the Smart Switch software on your computer. Connect your phone to the computer now. If the phone asks for any permission, immediately allow it. In the Smart Switch, click on the Backup button and create a backup of your phone. Follow the instructions given on the screen to fix the phone now. That’s all. Samsung recently updated the format of its firmware files. It was adding a new .lz4 extension to its .img files. This resulted in the existing versions of Odin to fail. After the issue widespread, Samsung released a new version of Odin which can handle the .img files with the .lz4 extension. So, if you are getting the Odin flashing failed on Galaxy Note 8, you need to use the Odin 3.13.1. A guide to manually update the Note 8 to Android Oreo can be found here. If you are trying to update your phone through OTA update and you can’t find the update at your end, you may have to go for a manual method. You can check this guide to manually update your Galaxy Note 8 to Android 8.0 Oreo. Manually updating your phone is completely safe and secure. Slow performance issue after updating to a new firmware is something happening with every second Galaxy Note 8 user. There are a few reasons that slow down the performance of the Note 8 after the Oreo update. Here are the probable reasons that have slowed down your Galaxy Note 8. It’s always recommended to perform a clean installation of the new firmware. If you have updated your phone without factory resetting it, you may find the performance getting sluggish. In such a case, you can factory reset your phone and update is once again all over again. Don’t forget to backup all your data before performing a clean installation of the new Android Oreo update on the Galaxy Note 8. Clearing cache can fix almost all Galaxy Note 8 problems after Android Oreo update. Clearing cache is just like a single medicine for a hundred diseases. Messed up cache can significantly slow down your phone. Here’s how to clear cache and fix the Note 8. Now turn it on by pressing and holding Volume Up + Bixby + Power button. As soon as you see the recovery, use Volume Down to select wipe cache partition and then press the power key. Clear the cache and reboot the phone. The issues should be gone now. Half of the Galaxy Note 8 problems after Android Oreo update can come up as a result of having unnecessary applications on your phone. If you have a bunch of apps that you have no idea of or the apps that you simply do not use, it’s the time to remove them from your phone. Having unused applications on your phone are nothing more than junk. Safe Mode disables all the third party applications on your phone. It’s a great way to check if a specific application is causing trouble in your phone. You can always turn on Safe Mode and then check the performance of your phone. 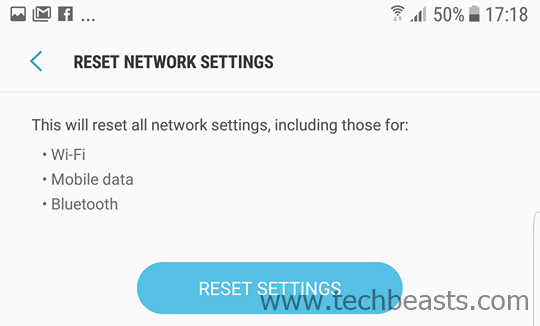 If there’s a difference in the performance of your phone after enabling Safe Mode, you can then start by uninstalling the applications one by one to check what application was the culprit. Here’s how to boot into Safe Mode to fix Galaxy Note 8 problems after Android Oreo update. Now turn on the phone and keep the Volume Down key pressed as soon as it shows you Samsung logo on the screen. As your phone boots up, you will find the Safe Mode watermark on the lower left corner of the screen. This means your phone is now in the Safe Mode. Check the performance and battery life of your phone now. If it performs better, you need to find the apps that may be slowing it down. That’s all. Is the camera failed error coming up on your Note 8 after the Oreo update? This is also a common issue. Here are the possible fixes. On your phone, go to Settings > Apps > All Apps > Camera > Storage > Clear Cache & Data. Open Camera and check if the issue is gone or not. If the solution above fails to work, you can opt for a third party camera application like the Google Camera. There are many other camera applications which are a great alternative to Samsung’s stock camera application. Try clearing the cache of your phone. At times, a bad cache can also make the camera app to fail. 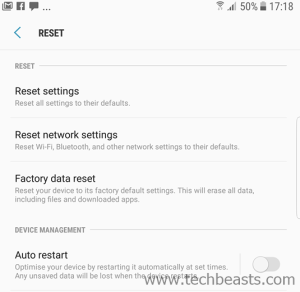 Have a look at the method to clear cache partition to fix Note 8 problems after Android Oreo update. The camera can also fail as a result of a bad firmware update. You can manually update your Note 8 to Android Oreo using Odin. Make sure that you perform a clean installation. A clean installation can fix all the potential problems that came up on your phone after a corrupt installation. These are the possible reasons for your phone to heat up after the Android Oreo update. You did not perform a clean Android Oreo update. An application is heating up your phone. You did not clear the cache of your phone after updating it. Your phone’s battery isn’t working right. So, to fix these problems on the Note 8, you can, first of all, try clearing the cache. If clearing the cache fixes the heating up issue, then it’s all good. The second choice should be to boot your phone into the Safe Mode and check if an application is a culprit. If the first two solutions do not work, you can try installing a new firmware manually. While performing a new installation, make sure that you are performing a clean installation. The last resort should be to get the battery of your phone checked. For that purpose, you can take your phone to the Samsung Service centre and get it checked under its warranty. When the Samsung Galaxy S8 was updated to Android Oreo, the phone owners reported the phone rebooting on its own at random intervals of time. The same happened with the Galaxy Note 8 as well. A huge number of users reached out to us asking for a solution to fix the Galaxy Note 8 that is randomly rebooting after Android Oreo update. The solutions to this problem are also quite simple. You can apply the following fixes one by one to see which one works for you. Clear the cache of your phone if you haven’t done that already. If clearing cache doesn’t help, boot into the Safe Mode to check if an application is being the pain of your phone. Clean Installation is your last choice to go with. If the above two solutions fail to work, go ahead and perform a clean installation. After updating your phone, the battery needs to be calibrated once again. To do so, you need to charge your phone to 100% first of all. After charging it to 100%, you need to let it drain to 0%. Do not charge your phone in between. Make sure that it comes to 0 from 100 without charging it in-between. Repeat the same cycles for 3 or 4 times to fully calibrate the battery of your phone on the new firmware. This should fix the battery consumption issues on your phone. If you think that there’s another issue with the battery, you can try clearing cache or booting into the Safe Mode to check if an application is eating the battery of your phone. Is your phone charging slowly after the Android Oreo update? This may or may not be a software related issue. Here are the possible fixes. Always use original charger to charge the phone. Use the OEM data cable to connect your phone to the charger. Do not expect a Laptop or your Car to charge the phone as fast as the original charger does. Calibrate the battery of your phone immediately after updating to a new firmware. Network issues have several fixes. Here’s what you can do to fix Note Registered on Network Error on the Galaxy Note 8 after Android Oreo update. Make sure that you are using appropriate SIM card and it’s properly inserted. Faulty SIM card will give this error. Check if the Flight Mode is turned off or not. If it’s on, then you need to turn it off. You can also try turning on the Flight Mode and then turn it off again. On your phone, go to Settings > About > RESET > Reset Network Settings > Reset all the settings. Reboot your phone. That’s all for now. If you are still facing any issues, feel free to contact me using the comments section below.